Tried this yummy Mango burfi and it came out so good. 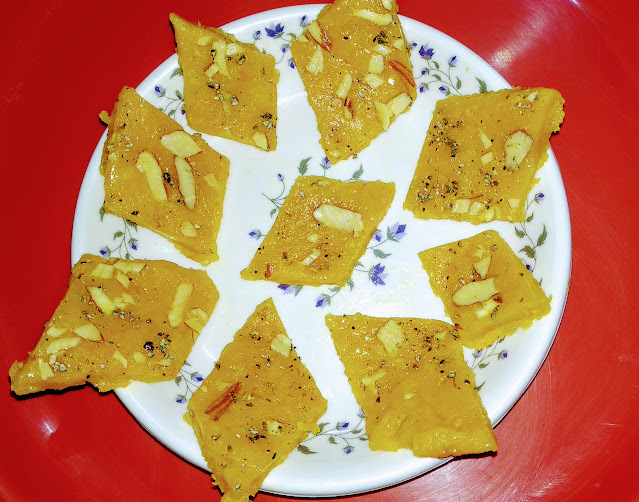 Mangoes are out of season now, so you can prepare this delicious burfi and keep it in refrigerator and enjoy it for some more days. So let us start. Recipe : Peel 2 medium size ( desi ) Mango, cut into small pieces, add 1 cup milk and make a smooth puree in a blender. Heat 1 tea spoon ghee in a non-stick pan. 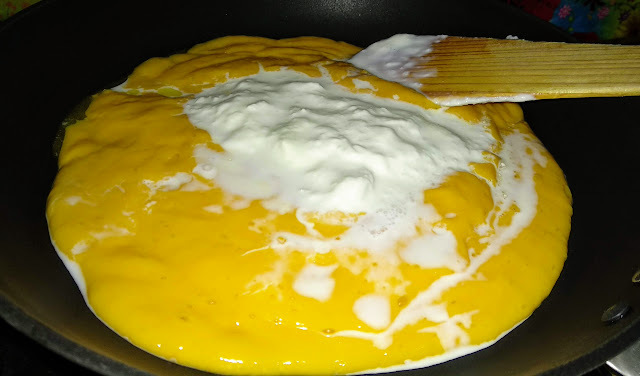 Add Mango puree and cream and cook on medium flame for 10-12 minutes. Add sugar and cook on medium flame continuously stirring for 5 minutes and then on low flame till the mixture leaves the edges of pan and becomes hard. You can check by taking some mixture in a plate and let it cool, if it becomes solid after cooling, you are done. 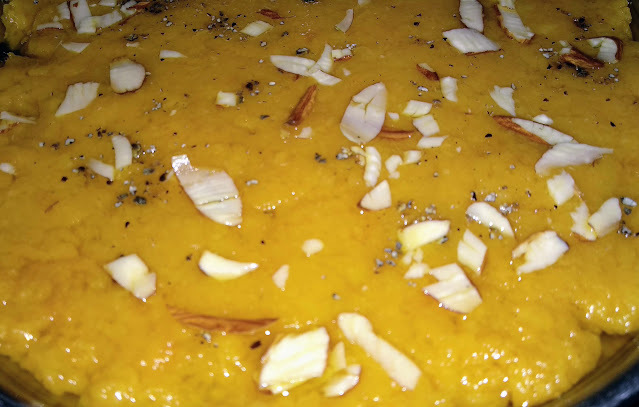 Transfer the mixture to the greased plate, apply some ghee on the back of a flat bowl and spread the mixture evenly. Add sliced almonds and cardamom powder over it and press with bowl, so it gets fixed on the burfi. Let it cool completely. Cut square pieces with the help of a sharp knife. 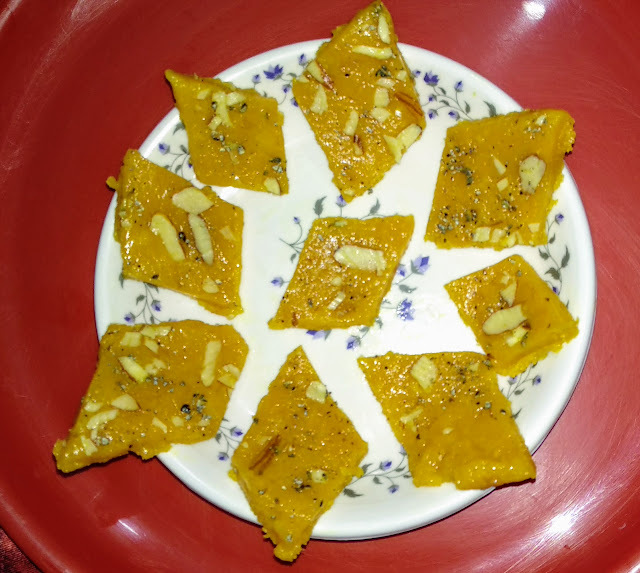 Yummy, quick and easy sweet dish, mango burfi is ready. 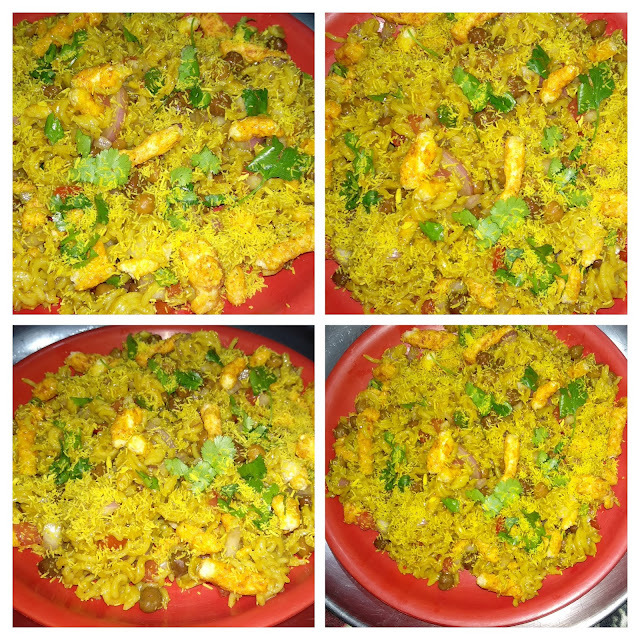 Keep it in refrigerator and enjoy for a week.